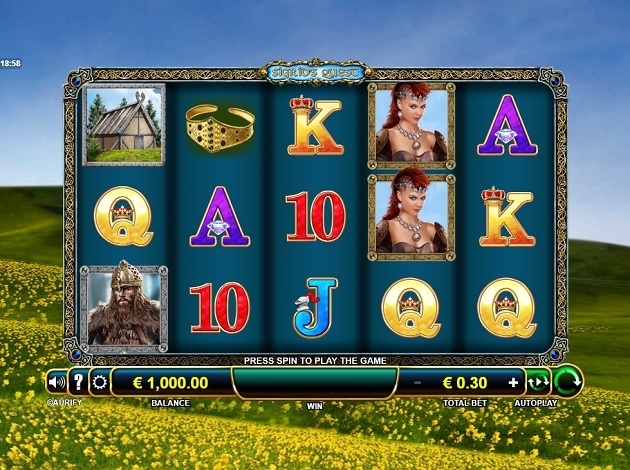 Sigrid’s Quest is a Nordic Viking-themed slot that features the beautiful Queen Sigrid of Sweden and her husband Erik, the brave King who famously ruled the Baltic Sea with his fleet of Viking ships. The royal couple from Ancient Nordic history are the stars of this Adoptit Publishing slot. It’s made up of 5 reels and 3 rows, played over 30 fixed paylines. 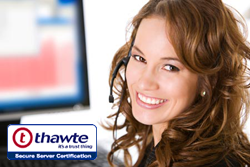 It can be classified as a high volatility slot and comes with a good RTP rate of 96.01%. You can play Sigrid’s Quest from a minimum bet of € 0.3 up to a maximum bet of € 60. Once you start spinning the reels, you’ll immediately notice that all the symbols on the reels are inspired by Nordic history but are given a bit of a modern touch. You’ll see Queen Sigrid with flaming red hair wearing battle armour and holding a large sword. The bearded Viking King also features, wearing traditional Norse furs and battle gear, holding a spear as his weapon. Other symbols include a battle ship, a jewelled crown, a barn shed and the traditional card letters. The fully golden ship is the wild in the game and if you look closely, you will see Queen Sigrid herself at the front of the battleship. This symbol can also become an Expanded Wild and both wild symbols will substitute for all other symbols except for the Bonus, which is the golden, ornate dragon symbol. During the base game, the wild can expand to cover up to 2 reels or else multiply your wins by up to 10x! The bonus symbol is your golden ticket to the free spins game: 3, 4, or 5 bonus symbols anywhere on the reels will trigger 10, 25, or 50 free spins! Even better, free spins can be retriggered during the free spins game and the wild can expand to cover up to 5 reels instead of 2. Besides triggering the free spins game, the bonus symbol also comes with a very generous payout when you get a hit of at least 3 bonus symbols anywhere on the reels and is the highest paying symbol in Sigrid’s Quest. Next, the wild symbol is also a high paying symbol, and you only need a minimum of 2 symbols on a payline to get a payout! Queen Sigrid, the Viking symbol and the jewelled crown also pay from a minimum of 2 symbols on a payline and are high value symbols. For the rest of the symbols, you need a minimum of 3 symbols on a payline to earn a prize. The barn shed, and ship symbols are next in terms of payout, followed by the lower value A, K, Q, J and 10 symbols. Set against a bright blue sky and a field of grassy landscape, the deep blue reels are framed in an ornamental golden frame. When part of a winning combination, the symbols will shimmer and become animated. The expanding wilds are also animated which adds a very nice touch to the gam! When the reels start to spin, the heroic soundtrack of Sigrid’s Quest comes on, recreating the mood of the battle of the brave Viking. At the bottom of the gold-lined reels, you’ll see the game panel, where you can see your wins for each spin in the middle and adjust your total bet from the right of the game panel. You can also choose the fast play option by pressing the spin button again to force the reels to stop or to skip the win animation. You can also choose the autoplay option and configure the settings for that, choosing the number of rounds and setting a loss limit and a single win limit, too. On the left, you can view the paytable and rules of the game. Sigrid’s Quest is a great slot with a very regal, mighty feel to it, enhanced by the great soundtrack that plays on each spin. The expanding wilds are a great feature and the added animations are a great touch, making the game very entertaining. With up to 50 free spins, there’s a lot to look forward to in the game whilst immersing yourself into this heroic Viking story! Founded in 2016, AdoptIt Publishing is a relatively new game provider on the scene but comes laden with years of experience and various skill sets. The company was set up by two of the industry’s biggest talents, Ashley Sandyford-Sykes and Mike Hebden. Mike Hebden himself has overseen some of the most successful branded slots released, including Jurassic Park™, Terminator II™ and even Game of Thrones™ during his time with leading software developer company Microgaming. Sandyford-Sykes also brought to the company an extensive gambling experience, having also held positions at Microgaming. AdoptIt Publishing partners with others in the industry like NextGen Gaming and Probability Jones, offering licensing support, hosting solutions and consultancy services. More importantly, however, they also produce their own slots and games. Their defining qualities are always top-notch graphics, cross-platform compatibility, and plenty of great features. The company doesn’t stop at online slots, though. Games like Big Break Roulette, for example, are a creative combination of snooker and roulette tables, offering fixed jackpots to players. With over 20 years of combined experience in the industry, AdoptIt Publishing is set to keep growing at a steady pace and looking at their games so far, they’re definitely set to become a major gaming provider. The games we currently offer at Videoslots.com are Trip Trap Troll and Geisha's Garden. Don’t miss out on the opportunity to play a thrilling Battle with our special, unique and very first social online casino experience – Battle of Slots. Videoslots gives you the chance to play first time Battles against your friends and other players on videoslots.com with games from NetEnt, Thunderkick, Red Tiger Gaming, Play’n GO and many others. There is only one Battle of Slots – and you’ll only find it on videoslots.com!